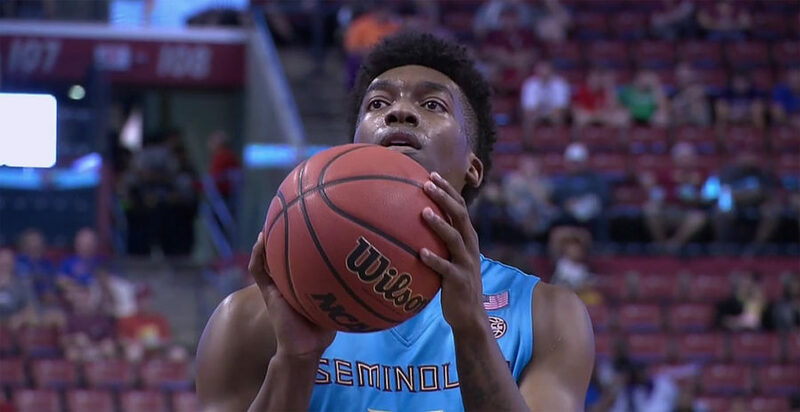 TALLAHASSEE, Fla. – Braian Angola scored 20 points and No. 24 Florida State held on for an 81-80 victory over No. 12 North Carolina on Wednesday night. Angola shot 6 of 10 from the floor and grabbed five rebounds, while C.J. Walker added 18 points and made four 3-pointers in the win for the Seminoles (12-2, 1-1 Atlantic Coast Conference), who survived to win their 28th straight at home. “I feel mission accomplished. That was the most important thing,” FSU coach Leonard Hamilton said. Terance Mann ended with 17 points, nine rebounds and five assists for the Noles, who created additional stress with a big mistake with 35 seconds remaining, but held on for the victory. “We can get on each other and still not let it affect us,” said Walker. Florida State led Duke last Saturday in the final moments, but missed their final eight shots and lost. Hamilton was delighted with his team’s overall attitude in the battling win. He added: “I thought our guys really came together. Their body language changed in the timeout. Joel Berry II led North Carolina with 28 points after scoring just seven in the first half. Kenny Williams added 18 points and seven rebounds and Luke Maye finished with 14 points and six boards for the Tar Heels (12-3, 1-1), who trailed by as many as 13 points in the first half. The game was tied 5 times, while there were eight lead changes.